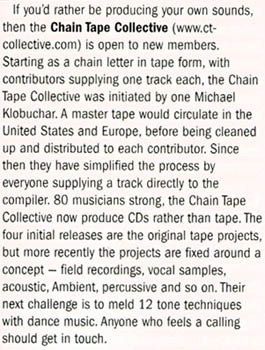 The CT Collective was originally started by Michael Klobuchar as a chain tape group; that is, as a group whose members recorded music by mailing a master tape throughout the United States and Europe. The finished tape was then cleaned up and distributed to the members as a CD. No one got paid for any of this, and the organization, mastering, and mailing of our collaborative projects was done by members who volunteered their time and resources. 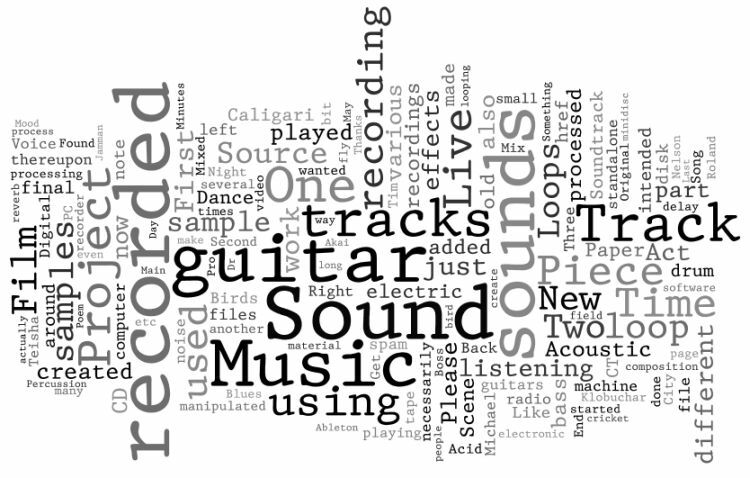 Since then, we've started to do more than one project at a time, and we've also decided to streamline the recording process by having people simply mail their contributions to the person mastering the project. 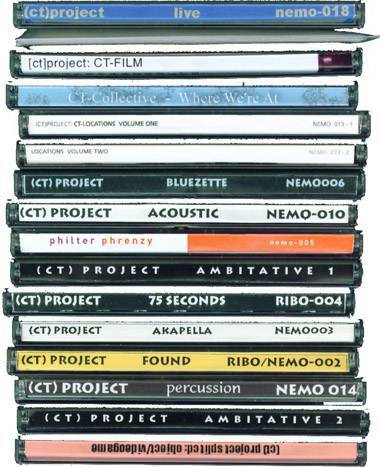 After this stage, copies go out to other people who have volunteered to duplicate CDs and distribute them to the contributors and to other interested parties. As part of our effort to streamline what was otherwise a rather cumbersome process, we have organized a main mailing list through which all projects are now coordinated. As projects get underway, they get their own mailing list. The Chain Tape Collective is world wide and works within projects, specifying the work needed to be done, which I think is a very good way to keep ideas flowing and have the different projects develop within their basic frames. (...) these frames are not very hard to stay within, and they don’t restrict creativity, but rather give it a trajectory, an aim. I’m sure these kinds of initiatives pick up a lot of creative goings-on that would otherwise not be diffused like this across our globe."